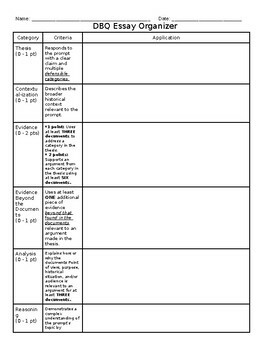 This graphic organizer is designed to have students practice the skills needed to earn points for each rubric component of the DBQ essay without writing an entire essay. 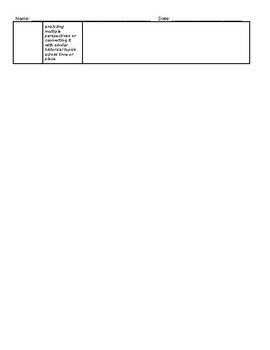 This is used at the end of the year in the weeks before the AP exam for extra practice. The criteria are slightly adapted but aligned to the latest AP Histories essay writing standards/rubric.